Requirements: Install Windows Print App for Windows operating systems and Mac Print App for Macintosh / Apple operating systems. Important Note: Refer the the Print Webpage post is attempting to print webpage. Open document normally within its default software such as Word, Excel, PowerPoint, etc., and click File in top right corner followed by Print. Each printer will correlate to a specific print cost per piece of paper. Contact wēpa support (800.675.7639 / help@wepanow.com / Chat Below) to print cost at specific institution. 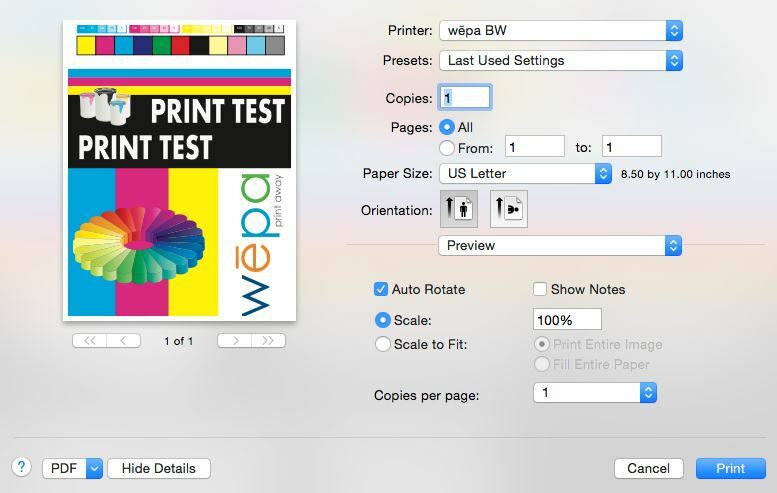 Choose different print format settings such as printing multiple pages per piece of paper or orientation. Select ‘Page Setup’ to confirm page size is set to Letter 8.5x11in. 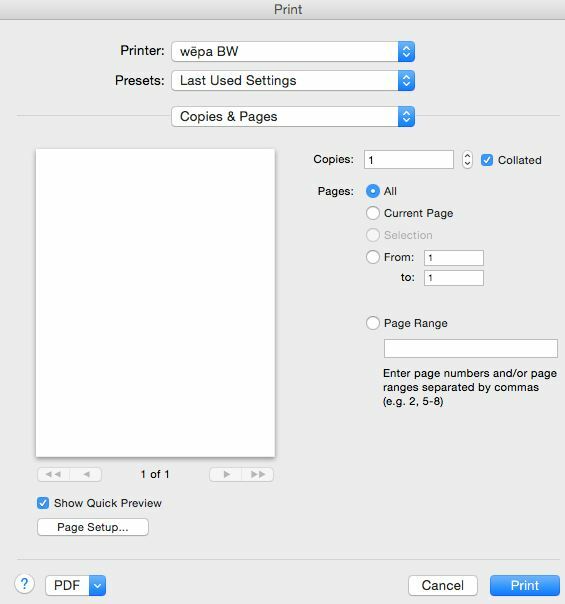 If page size is set to anything else, either the document will not upload or will not appear at the print station. Review print preview in Print Window to confirm appropriate format settings have been selected. 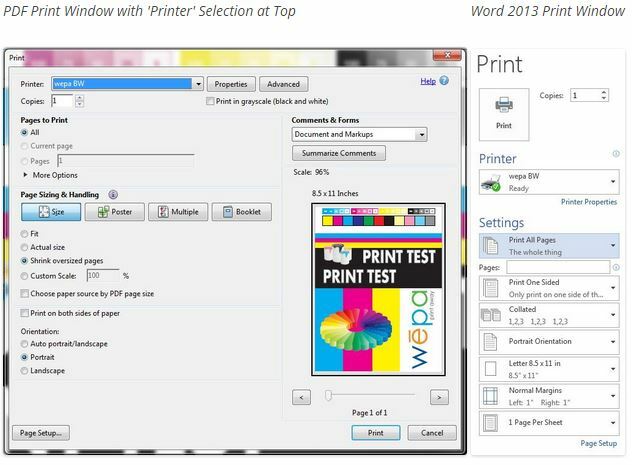 Select ‘Print’ from the Print Window after choosing wēpa printer and format settings to complete upload process. If using Public/Lab computer enter Username/Password to complete upload process. Click the wēpa icon to see the full list of documents uploaded to the wēpa account with associated wēpa codes. 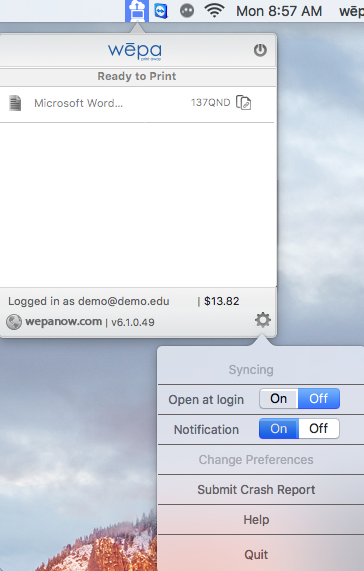 The wēpa icon for Windows is located in lower right corner system tray area while for Macintosh / Apple, it is located in upper right corner toolbar area. If you encounter any issues, try to submit a crash report by selecting the print app icon in the top right toolbar then the cog icon following by ‘Submit Crash Report‘.